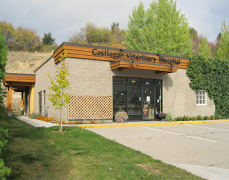 The veterinarians and staff at Castlegar Veterinary Hospital are ready to provide your pet with a high standard of veterinary medical care. From wellness exams and vaccines to advanced diagnostics and surgical procedures. Your dog, cat or any other beloved pet will receive high quality care at our hospital. We place a premium on providing options for your pet's care and want to ensure that you and your pet are offered the very best that veterinary medicine has to offer. That is why if we are unable to provide the necessary in house care or diagnostics for your pet, we will recommend a specialist referral to be sure they receive the proper care they need. We work with specialists in the fields of surgery, oncology, dermatology, ophthalmology, orthopedics, critical care, dentistry, rehab and more.